I have truly enjoyed watching the news coverage of President George H. W. Bush's memorials this week. Such wonderful lessons about life can be gleaned from learning more about his life. His life well lived is a great example to all of us on public service (we don't have to be in politics to serve), patriotism, and LOVE. One thing that you may not know about me because I talk so much about the memoirs that I read is that I Love a good Love Story!! It just makes me feel happy to see people in love. 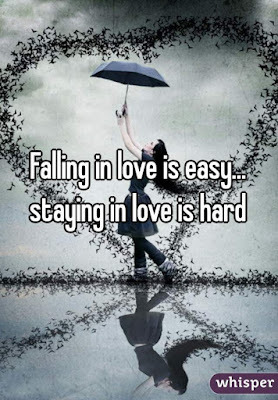 But as I've heard many times, "Falling in love is easy; Staying in love is hard." I've always loved reading and hearing about George and Barbara Bush's love story. I grew up with an example of a great love story in my own home. My parents worked at their marriage and loved each other very much. I feel that I have been blessed with TWO love stories in my life. My first marriage and my current marriage have both been tremendous blessings in my life. As anyone who has ever been married knows, marriage is hard. What I learned many years ago, when Dr. Jeff Williams of First Baptist Church, Denton, Texas was my pastor, is that Love Is A Choice!! I know there are times when we all look at our spouses and just think "YUK!!" It is a choice on those days to love them. Hearing that Love Is A Choice early on in my married life changed the trajectory of my marriage. That concept made a huge difference to me in how I LOVED my husband. It made me realize that there were some days that I just had to love R through his lousy mood or my bad mood. I had to choose to love him on those hard days when his laid-back, patient style of parenting clashed with my action driven parenting approach. 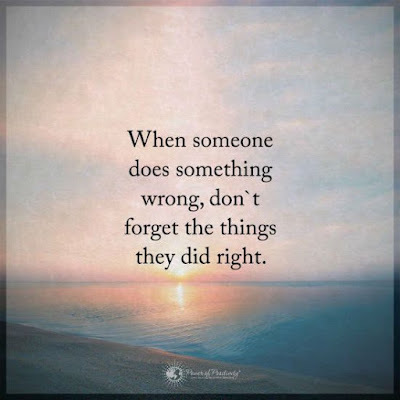 I had to choose to love him and try to see things from his perspective when he worked long hours, and a considerable portion of caring for the kids fell on me. In my 2nd marriage, it's the same thing. Dr. T and I choose to love each other. I've told him many times that he got the "new and improved" version of me. I love his look of horror at how bad it had been when I say that to him!! But, I have changed so much after experiencing such devastating loss in my life. Although we are incredibly compatible and don't have the stress of raising kids in our marriage, we still have to offer each other grace on occasion. No relationship is without conflict. 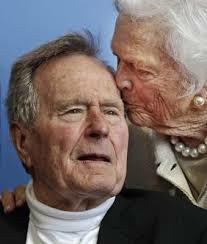 I think my biggest take away from learning about the Bush's marriage is how they made each other feel cherished!! One example that I love is towards the end of her life Barbara told someone to be sure to tell her husband that she adored him. I honestly believe that most marriages would be saved if each spouse made sure that the other felt cherished!! Making a spouse feel cherished and adored is done by making sure that we put our spouse's needs above our own. It is done by SEEING them. That is one way that I feel cherished by Dr. T. There are many times in the course of our life together when I think to myself, "He really sees me." He accomplishes this by tiny gestures and comments about my seemingly insignificant habits that he notices. He even once watched how I like to make my coffee in case he needed to make it for me sometime. These acts of kindness by him make me feel extremely loved and cherished!! I hope that after this week of civility in our country, we can move forward and continue on with graciousness and respect. I pray that I continue to remember that Love Is A Choice that I make daily in my marriage and other relationships. One last word- I just finished watching President Bush being sent to his final resting place on the Texas A&M campus. Wow!! It made me so proud that both of my children are graduates of A&M. It was moving to hear The Aggie War Hymn played as his coffin was lowered off the train that took him to College Station. To simply see "Here" on pictures of the plane flying over College Station on its way from Washington DC to Houston was very touching. (see Aggie Muster) Aggie Pride was shown well today for all to see.